The perpetrator of a string of armed hold-ups has been condemned to a three-year jail term and treatment order in the hope that this would not only serve as retribution but would also guide him towards "a stable life". 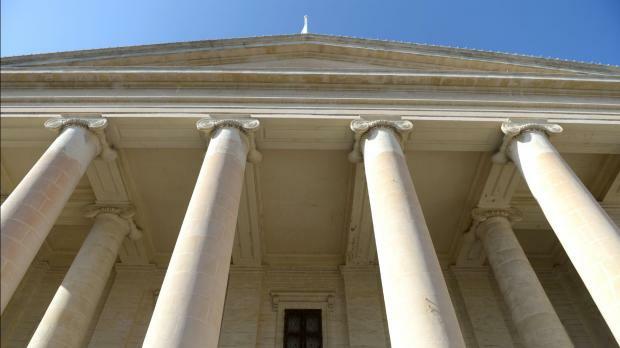 David Scicluna, a 34-year old Marsascala resident, had been arrested last July following a series of armed holdups which had taken place over a span of some six weeks. The suspect had been arraigned and charged with having committed the armed robberies, held his victims against their will, been in possession of a knife without the necessary police licence as well as with being a recidivist. The first hold-up had taken place on June 16 at a mini market chain store at Santa Luċija, followed two days later by another armed robbery at a self-service store at Tarxien. The final coup had taken place on July 27 when another mini market at Tarxien was targeted by the accused, who was arrested and arraigned shortly after. The man had pleaded guilty upon his arraignment and presiding magistrate Gabriella Vella had ordered a pre-sentencing report which was to serve as guidance not only in determining the appropriate punishment, but also to address the many problems faced by the accused. Meanwhile, the court had placed the man under a temporary supervision order. A psychiatrist and a probation officer, tasked with assessing the accused, reported that the man had an acute drug problem, as well as other personal difficulties. When handing down judgment, the court observed that the accused had to battle not only a drug problem, which he could not “overcome single-handedly”, but also problems which resulted in an “unruly character” evidenced by the fact that he had committed these crimes “six months after stepping out of prison after serving time for similar wrongdoing”. When meting out punishment, the court took into account the accused’s early guilty plea, the fact that much of the stolen cash - save for €350 worth of top-up cards - had been retrieved as well as the man’s personal problems. The court observed that since the crimes had involved an element of violence, the law did not permit a mitigation of punishment. Nor could the court order the forfeiture of the weapon used in these robberies, since the said weapon had not been exhibited by the prosecution. The three-year effective jail term, coupled with a treatment order, was intended to serve, not only as retribution, but also to enable the accused to address his many problems in the hope of finally guiding him towards "a stable life", the court declared, urging the Director of Prisons to offer all assistance so that the accused might embark upon a rehabilitation programme. Inspectors Joseph Mercieca and Shawn Pawney prosecuted. Lawyer Arthur Azzopardi was defence counsel.